Interested in orthodontic services in Oakville? At our Glen Abbey practice, we offer our patients multiple treatment options, including traditional braces or Invisalign® clear aligners to straighten their teeth. Let us help you begin your smile transformation! At our Glen Abbey office, we believe orthodontics are a great solution for those looking to correct their bites, straighten their teeth and enhance their smiles. By providing both traditional braces and Invisalign® clear aligners, our dental team provide you with options that work for you. Our dentists will ensure you understand the processes involved in your treatment plan. 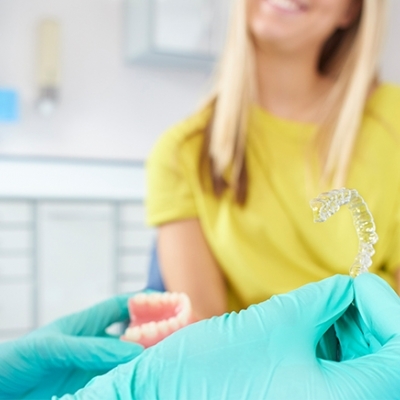 Traditional wire braces can correct crooked and crowded teeth, a misaligned bite and jaw problems. They can eliminate problems you may have with eating, speaking properly, or even with jaw pain and headaches. Wire braces have certainly come a long way over the years, becoming sleeker, smaller and more comfortable. Traditional braces consist of standard metal brackets that are adhered to your teeth with an adhesive and connected by wire. They are tightened monthly so the pressure can gradually straighten your teeth and align your jaw as needed. No referral needed! We would love to be a part of your smile transformation. Call us today! Invisalign clear aligners are a great solution adults and teenagers looking to have their smiles corrected. At dentalhouse, we can ensure your family has access to this orthodontic treatment with a schedule that is flexible to your lifestyle. This treatment, which involves using clear, removable inserts, is a great option for teenagers and adults who are looking for a less noticeable version of orthodontics. It is removable, nearly invisible and may require less maintenance than traditional braces. 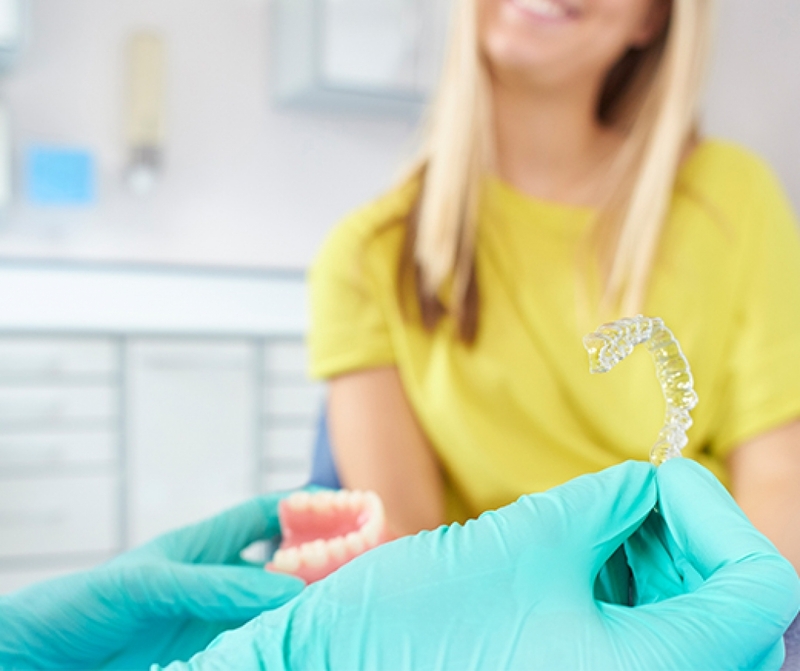 When you visit us for Invisalign®, we will first evaluate the structure of your teeth in order to ensure you are a good candidate for this form of treatment.